I vowed to myself that I would never do another DIY project after trying to make roman shades for my daughter's room. 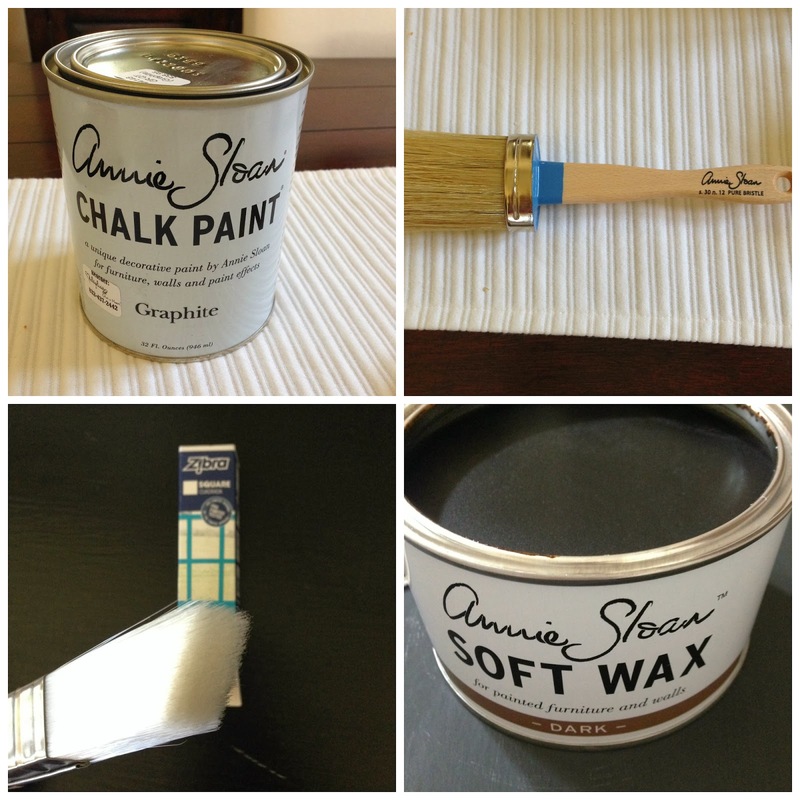 Annie Sloan changed that last week. 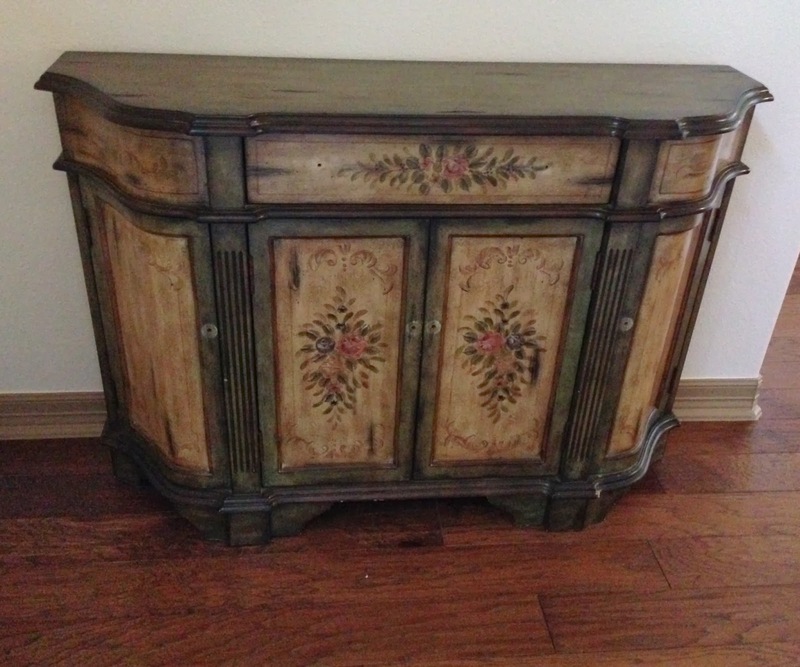 I've had this piece for years but didn't want to deal with the hassle of redoing it myself...or paying someone else to do it. Painting furniture can be so tedious. I thought I could live with it, but the more you tube videos I watched and saw how easy it was to use Annie Sloan chalk paint the more I wanted to try it. Not one for deliberating, I dove right in and bought the paint. Annie Sloan is awesome! She offers numerous colors and techniques to paint and her paint is easy to use, especially for the novice painter. I chose Graphite which is a dark gray (the darkest color she makes) and stuck with one color. I did buy her paint brush because it is rounded and they say it works well with the paint...Hook, Line & Sinker. 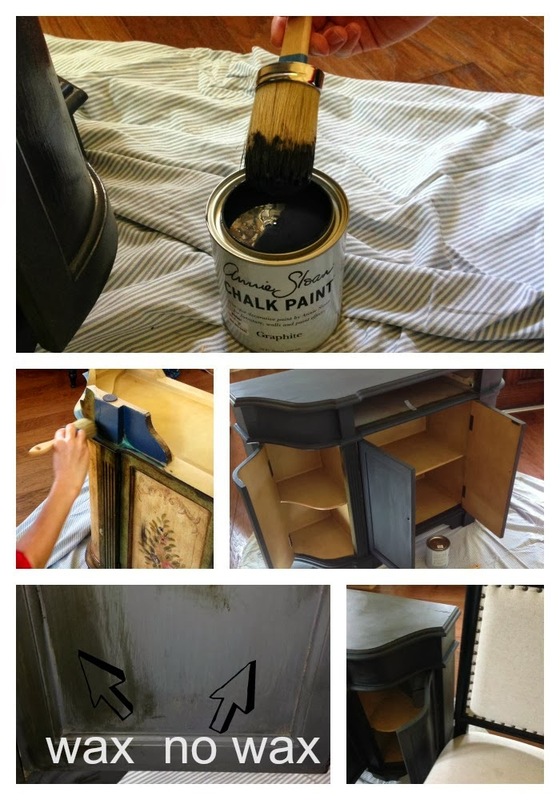 After using her paint you have to wax to seal it and there are two types that she offers: clear & dark. I chose the dark because I wanted to make it as close to black as I possibly could. I chose not to buy her wax brush but bought a $7 square white brush from Home Depot to apply the wax with. You can also use an old t shirt, tea towel or cheese cloth to apply. Each will give you a different finish. This paint goes a long way. I have so much of this quart left over that I have enough to do so many other projects. This might be something that you think about when choosing a color. This quart ran me $38 but I have enough left over to paint a small and a large bathroom vanity. Her paint dries really fast so you can apply two coats in the same day plus wax. The paint glides on so easily and look ma...No brush marks! 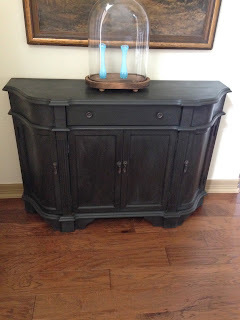 I absolutely love the matte finish this chalk paint gives you and I couldn't be happier with how this piece turned out. Excited to use this! A new store in E'ville is going to start carrying it! Your piece looks great! It turned out great! Good Job! The guy at the shop I talked to said you always have to use the clear wax and then the dark wax was to use additionally if you wanted the darker color. Interesting. Will have to look into it further. I will be sure to let you know Karen if I decide to do his vanity...could be a Turkey Day weekend project. Thanks so much Madeleine! I can't wait for you to try it...pretty sure I know what store you're talking about and can't wait to go in there when I come home! Thanks so much sis! Ya, I'm sure everyone has their own way of doing it...it all comes out looking awesome!